Your thyroid is incredibly important to your everyday health — did you know that these foods can support thyroid health? First things first, let’s break down the basics of why your thyroid is important, what it does, and the factors that can affect how well it works. It’s not that these foods are magic foods for thyroid health, but their nutrient profile and nutrients they provide your body is what’s most important and keep your thyroid functioning normally. 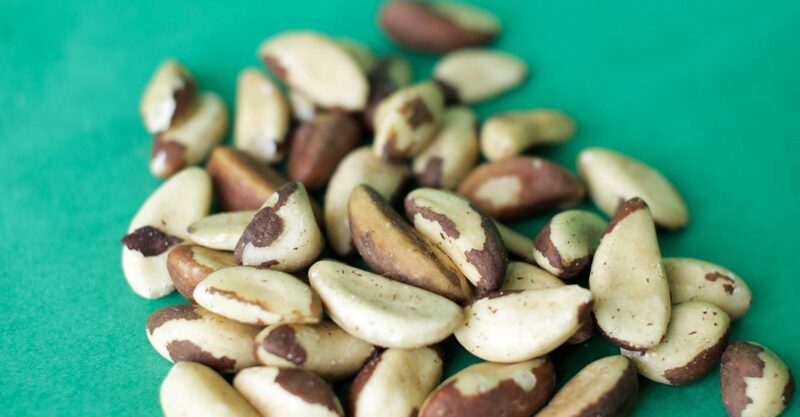 You’re probably already eating a lot of them, here are 7 foods that support thyroid health. According to the National Women’s Health Information Center, about 20 million people suffer from a thyroid disorder in the United States. You can tell that something is “off” with your thyroid when you experience issues like weight gain, depression, anxiety and you’re not sure why. Since the thyroid controls your body’s “thermostat” it directly affects appetite and energy, which both play a major role in how you feel every day. Joint and muscle pain and fatigue. What Factors Affect Thyroid Health? Your thyroid is affected by a slew of factors — ranging from genetics to your lifestyle habits, stress, environmental toxins, and your diet. Diets that are deficient in iodine, selenium, and zinc are at-risk of thyroid issues. Additionally, poor gut health plays a part in causing imbalances, too. Fortunately, you can control your diet, and that means filling up on foods that support strong thyroid health. Below, I’m sharing 7 easy additions you can easily incorporate into your diet today. 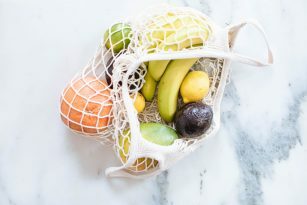 As with all health challenges, each person has a unique makeup and everybody will differ with specific foods and lifestyle that’s the best for them and their health goals. Foods that are high in antioxidants are amazing for your thyroid, too. One study suggests that people with hypothyroidism have higher levels of free radicals. (12) Here’s a peek at the NS recipes that contain berries. One egg contains about 20% of your daily recommended value of selenium and 15% of your daily recommended value of iodine. Check out some NS recipes that have eggs. 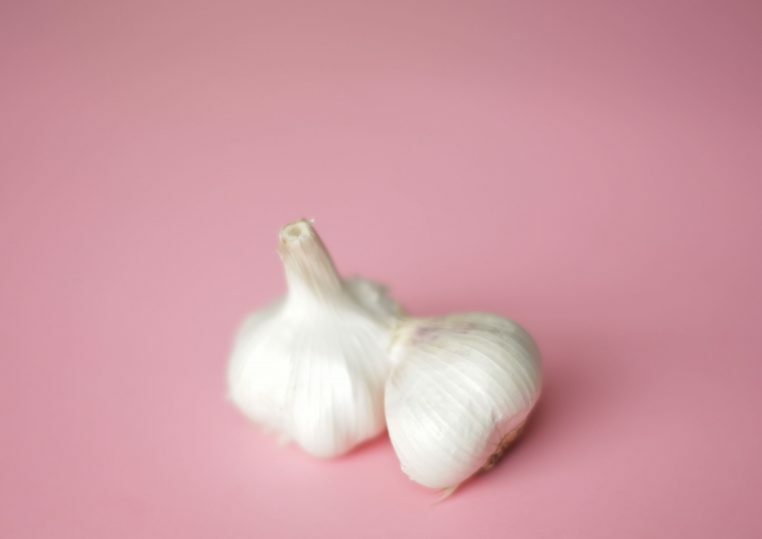 Garlic is thyroid-friendly because it supports blood-sugar metabolism and can fight inflammation. They may balance out foods that are rich in fats and carbohydrates, too. Read more about garlic in the Food Index. Lentils are great sources of plant-based protein, but they also provide iron to the body. Research has shown that iron deficiency has been linked to poor thyroid function. (14) Here are the NS recipes that use this ingredient. Per usual, always chat with your doctor about these things rather than self-diagnose just based on a simple symptom list — that’s actually the beautiful thing about the body, it’s complex! I hope you found this article about all things thyroid and foods that support thyroid health interesting and helpful. What additional questions do you have? Leave a comment below — or say hi on Instagram @nutritionstripped and #nutritionstripped. Underactive thyroid: Overview. PubMed Health. (2017, August 10). Hypothyroidism – National Library of Medicine – PubMed Health. (n.d.). Hyperthyroidism – National Library of Medicine. PubMed Health. (n.d.). PubMed Health. Goiter – National Library of Medicine. (n.d.). Bomeli, S. R., LeBeau, S. O., & Ferris, R. L. (2010, April). Evaluation of a thyroid nodule. PubMed Health. Thyroid Cancer – National Library of Medicine. (n.d.). PubMed Health. Selenium supplementation for Hashimoto’s thyroiditis. (2013, June 06). Zimmermann, M. B., & Boelaert, K. (2015, April). Iodine deficiency and thyroid disorders. Hormone Health Network. Thyroid Disorders. (n.d.). Rayman, M. P. (2000, July 15). The importance of selenium to human health. Betsy, A., Binitha, M., & Sarita, S. (2013). Zinc Deficiency Associated with Hypothyroidism: An Overlooked Cause of Severe Alopecia. Erdamar, H., Demirci, H., Yaman, H., Erbil, M. K., Yakar, T., Sancak, B., . . . Yetkin, I. (n.d.). The effect of hypothyroidism, hyperthyroidism, and their treatment on parameters of oxidative stress and antioxidant status. Rigacci, S., & Stefani, M. (2016, June). Nutraceutical Properties of Olive Oil Polyphenols. An Itinerary from Cultured Cells through Animal Models to Humans. Eftekhari, M. H., Keshavarz, S. A., Jalali, M., Elguero, E., Eshraghian, M. R., & Simondon, K. B. (n.d.). The relationship between iron status and thyroid hormone concentration in iron-deficient adolescent Iranian girls.